A home in the Elyson community, in Harris County, Texas. Elyson is just one of a slew of new developments spreading through the wetlands bordering Houston. 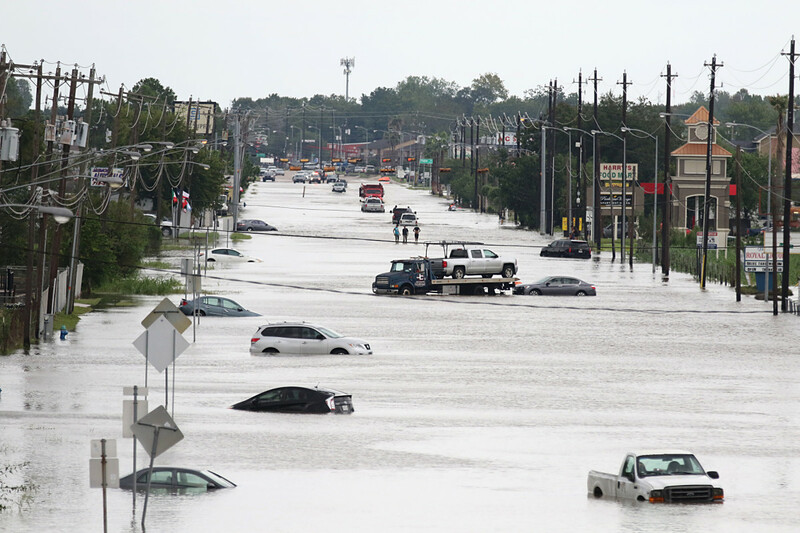 When Hurricane Harvey struck Harris County, not one of the 94 houses then occupied in the Elyson development, located in Houston&apos;s northwest suburbs, flooded—despite the fact that the area is crossed by three floodplains. The homes were spared from destruction by an engineering trick increasingly popular in the area: The developer, Newland Communities, decided to fill in the construction plots with enough dirt to raise them just above the anticipated flood level. But all of that water had to go somewhere. 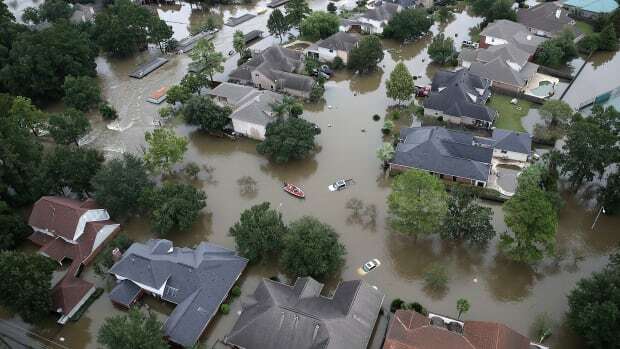 And it did: According to Jordan Macha, executive director of Bayou City Waterkeeper, it went right downstream and straight into some of Houston&apos;s most vulnerable communities. "All of this development in the hinterlands has put people in harms&apos; way," she says. "We need these wetlands to allow nature-based solutions to work and to be able to protect our communities." 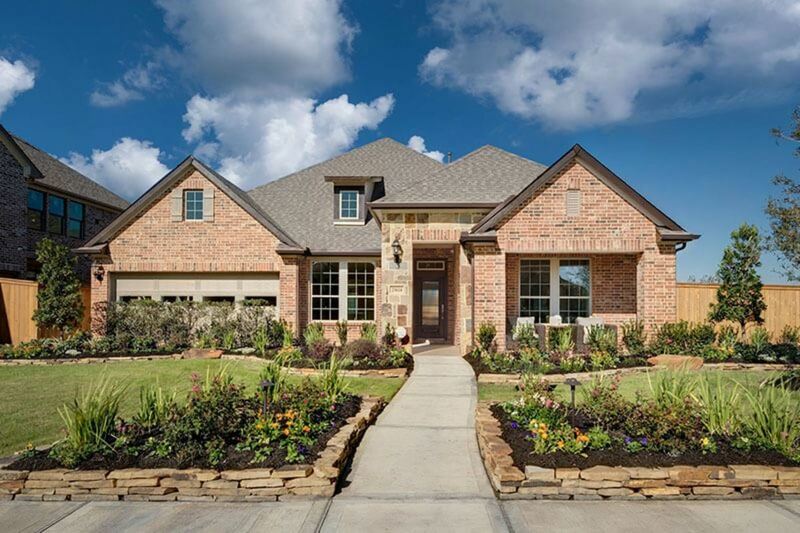 Since Harvey, Elyson&apos;s 3,600-acre plot has been booming: Nearly 500 homes are now occupied, with 5,500 more are on the way. Before Newland Communities broke ground, this part of Katy Prairie was occupied by little more than marshy grass, well-suited to absorb storm water before it made its way into the city. That&apos;s what the entire Prairie looked like until a few decades ago. 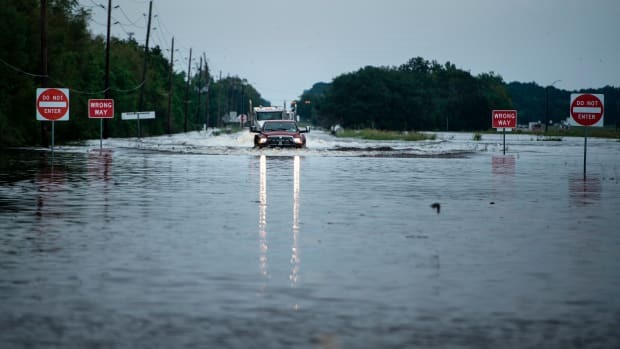 But the area has kept pace with Houston&apos;s fast-growing population: A Texas A&M University study found that White Oak Bayou lost over 70 percent of its wetlands from 1992 to 2010. Elyson is just one of a slew of new developments spreading through the wetlands bordering Houston. This, despite the fact that overdevelopment in these areas has been consistently linked to Harvey&apos;s destruction. And now, a newly proposed federal environmental deregulation threatens to take away any hope of protecting what&apos;s left of these lands. Last month, the Environmental Protection Agency proposed a major rollback of federal water protections, which would undo one of President Barack Obama&apos;s most significant environmental regulations, the Clean Water Rule of 2015 (CWA). That rule broadened the definition of the waters protected under the 1972 Clean Water Act—an attempt to bring an end to decades of confusion and controversy about the scope of the Act. According to the Obama rule, protected waters—termed the "Waters of the United States" (WOTUS)—would extend beyond "navigable waters" to include areas like wetlands, ponds, and streams that run seasonally, limiting the damage developers can do to these ecosystems. Environmental advocates in Harris County hoped to use the rule to fight for the preservation of wetland areas that help mitigate flooding. But President Donald Trump&apos;s EPA has thrown a wrench in that plan, proposing to narrow the definition unprecedentedly, excluding as much as 51 percent of wetlands and 18 percent of streams from protection, according to estimates from the EPA and Army Corps of Engineers, obtained by E&E News. The new WOTUS rule could have a potentially disastrous effect on the drinking water of an estimated 100 million people, aggravating drought conditions that already affected more than a third of the country over the summer. Just as detrimental, though, would be the green light the rule would give for the destruction of tens of millions of acres of wetlands across the country—the only sure-fire tool vulnerable communities have to protect against floodwaters that climate change is driving in previously unimaginable proportions. Throughout the U.S., different areas rely on their wetland ecosystems for preserving not only fish and wildlife but also people, homes, and infrastructure. Wetlands cover roughly 110 million acres of the country, and each acre can potentially store upwards of a million gallons of floodwater. A 2017 study in Scientific Reports, for example, found that coastal wetlands prevented a total of $625 million worth of property damage during Hurricane Sandy in 2012. 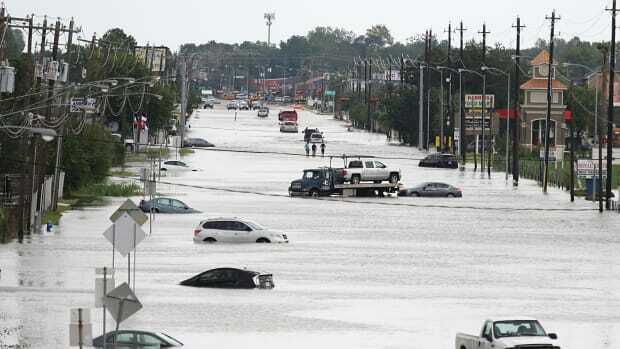 A car gets towed while men walk through a flooded street in Houston, Texas, on August 30th, 2017. The Clean Water Act doesn&apos;t prevent development in protected waters, but it does seek to limit the amount of harm developers can do to them. The necessity of preserving wetlands has long been apparent: When massive floods struck the Missouri and Mississippi River Basins in 1993, many researchers understood that the destruction was exacerbated by wetland shrinkage. "Prior to the Clean Water Act, the country was losing hundreds of thousands of acres [of wetlands] per year," says Jon Devine, the director of federal water policy at the Natural Resources Defense Council. By implementing a principle of "no net loss" of wetlands, the CWA sought to stop this trend. Trump&apos;s proposal, Devine says, threatens to revert us back to the old standard, or even worse. The Clean Water Act doesn&apos;t prevent development in protected waters, but it does seek to limit the amount of harm developers can do to them. It requires developers to obtain a permit before dredging or filling in protected waters to show that they&apos;ve avoided vulnerable areas if possible, mitigated the damages, or, if nothing else, compensated for "unavoidable impacts." Unsurprisingly, industry groups like the National Home Builders Association and the American Farm Bureau Federation have been quite vocal about their opposition to the regulation. They now have the Trump administration&apos;s ear. A recent video from the National Cattlemen&apos;s Beef Association encouraging farmers to file public comment on the rule featured a guest appearance from then-EPA chief Scott Pruitt (who himself sued against the CWA when he was the attorney general of Oklahoma), bemoaning the regulation&apos;s tyranny over "puddles." (The 2015 rule, in fact, excludes "puddles" explicitly from coverage.) "These groups have been really effective at framing a narrative of &apos;the Obama Clean Water Rule is about the government controlling what you can do on your land,&apos;" says Jennifer Peters, water programs director at Clean Water Action. "[That] is an extreme exaggeration. You&apos;re only impacted by the Clean Water Act if you&apos;re proposing to pollute or destroy a water that is considered jurisdictional under the CWA." These groups&apos; opposition has become a convenient basis for Trump to push his deregulatory agenda: After more than 100 parties filed lawsuits against the Obama rule, the Trump administration issued an order suspending it in February. The rule finally became the law in 26 states after a federal judge issued a nationwide injunction on the suspension, but this mess of litigation has meant that the full impacts of the 2015 rule have yet to be tested. 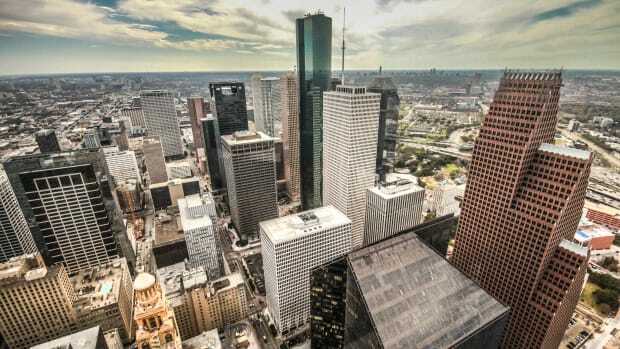 Areas like Harris County would be particularly hard-hit by the rollback: Neither the state nor local government has significant powers to limit harmful development. Texas is one of over two dozen states that have enacted laws limiting the state&apos;s ability to impose permitting requirements that are more stringent than the federal ones. Even in areas of the state that have been protected by the CWA, enforcement has been slim. In a 2015 study published by Texas A&M University, researchers found that, of a sample of 123 permits issued between 1990 and 2012, less than half of permitted projects in protected areas had documentation showing that developers had completed the required mitigation. John Jacob, one of the researchers, is under no illusions that the broader definition would solve all of Houston&apos;s problems: Even if wetlands were protected under the CWA, the compliance issues would likely remain. But he says these protections are nonetheless crucial, because they give environmental advocacy groups "a leg to stand upon" in legal battles. "With this new rule, that would just go flying out the door," he says. "We&apos;re back to square one." 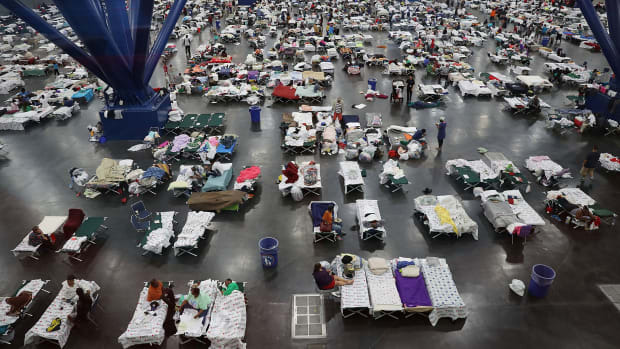 Mayor Sylvester Turner gave his strongest endorsement to date for constructing a physical coastal barrier to protect the region from deadly storm surge. Could Houston's Largest Dams Crumble Under the Flooding From Hurricane Harvey? 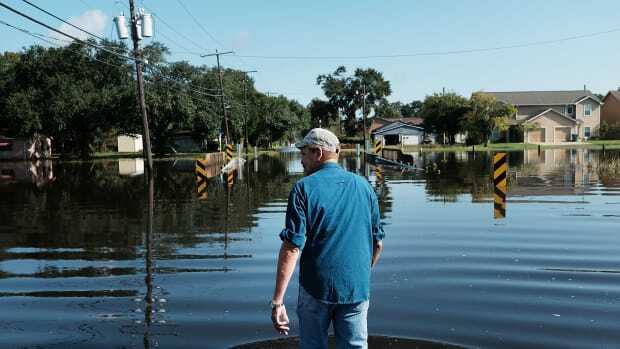 The infrastructural failure could release a torrent of water into portions of the city that are already submerged—including downtown.